Registration is now open for our 65th CFA Institute Annual Conference! 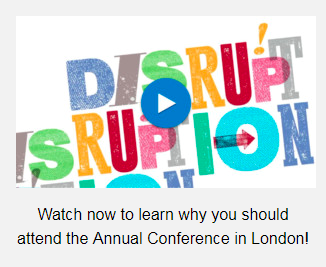 Our annual conference is one of the investment industry’s largest and longest-running educational gatherings of investment professionals, offering you a chance to explore new ideas and research on a full range of investment topics, preparing you for the challenges facing the global investment profession. Starting today, you can register to attend sessions examining market trends, uncovering new investment opportunities, and delivering practical investment advice. At the conference in Chicago, you’ll hear from top economists, legendary investors, and bestselling investment authors who examine global and regional financial trends and the best ways to adapt to them. It’s also an opportunity for you to network with investment peers from around the world and refresh your skills with the latest thinking and most cutting-edge financial analysis. The registration fee for the 65th CFA Institute Annual Conference is US$1,450, and CFA Institute and CIPM members and candidates enjoy a US$300 discount. Delegates who register by 31 December 2011 will receive an additional US$200 discount off their registration fee. In addition to opening registration for next year’s conference in Chicago, we have also begun to update this site with speaker information, travel and hotel details, and the conference schedule for our 2012 event. Bookmark this page or subscribe to the feed to learn more as details develop. As we get closer to the conference, we will also be providing more detailed interviews and live updates direct from the event. ← It’s Never Too Late!